Our offer of production of metal elements includes metal elements of fencing. A complete fencing system consists of fencing panels, wickets, two-wing gates and sliding gates. 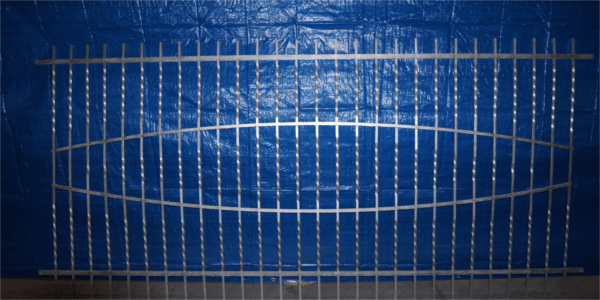 All fencing elements are available in various sizes and different versions. The panels are made of full material, hot-dip galvanized or powder coated in any color. The panels are filled with balusters made of steel bars with cross-sections: 10mm x 10mm or 12mm x 12mm, bolted or forged. The balusters are made of 30 × 3 mm or 20 × 3 mm flat bar. The use of durable materials and solid workmanship guarantee a long service life of the panels, regardless of the weather conditions in which they will operate. Standard panels are made in three heights: 150cm, 165cm and 180cm, and a length of 250cm. Balusters, spacing from 8 cm to 12 cm, curves of the balusters, depending on the panel design. We also make panels and gates according to the Customer's design. 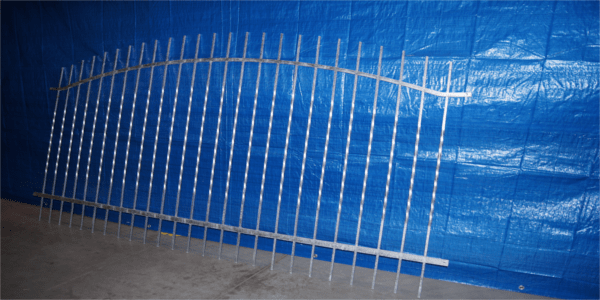 We provide assembly services for panels and other fencing elements purchased from us. All fencing elements are priced individually, after determining the dimensions, design and method of anti-corrosion protection. If You are interested in our other services, such as machining aluminum profiles and structures, please contact us.